We invite you to join us at Chateau St. Jean to experience our wines as you enjoy the ambiance of our estate and soak in the Sonoma wine lifestyle. 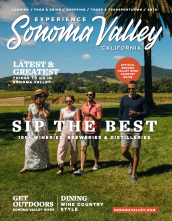 We produce an extensive portfolio or Sonoma County wines as well as vineyard designated wines, limited production Reserve wines, and the flagship Cinq Cépages Bordeaux Blend. Winemaker Margo Van Staaveren uses her more than 35 years of vineyard and winemaking expertise at Chateau St. Jean to continue the tradition of highlighting the best of each vineyard site to produce exceptional wines. 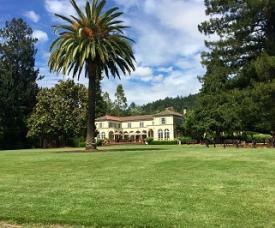 Description: We invite you to join us at Chateau St. Jean to experience our wines as you enjoy the ambiance of our estate and soak in the Sonoma wine lifestyle. We produce an extensive portfolio or Sonoma County wines as well as vineyard designated wines, limited production Reserve wines, and the flagship Cinq Cépages Bordeaux Blend. Winemaker Margo Van Staaveren uses her more than 35 years of vineyard and winemaking expertise at Chateau St. Jean to continue the tradition of highlighting the best of each vineyard site to produce exceptional wines. Tasting Fee Description: We offer our Premium Tasting in the Visitor’s Center or a Reserve Tasting in the Chateau daily. Appointments encouraged, but not required. 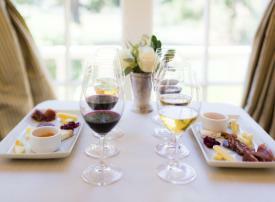 For an elevated seated tasting, join us for one of our distinctive experiences available daily by appointment. Charcuterie at the Chateau Experience the Sonoma wine lifestyle. Delight in four wines perfectly paired with local cheese, charcuterie and accompaniments as you relax in our 1920s chateau and take in the breathtaking view of our Grand Lawn and Estate Vineyards. Available daily by appointment. Cinq Rêves Library Tasting Experience luxury at its finest with a library tasting of Sonoma County’s most legendary Bordeaux Blend. This is an incredible opportunity to taste a vertical of our rich, velvety Cinq Cépages and Reserve wines. Available daily by appointment.